A low-glycemic diet includes mainly low-glycemic whole foods like meat, poultry, fish, avocados, vegetables, cheese, oil, and eggs, as well as small amounts of high-glycemic processed foods and drinks like white bread, candy, and soda. Studies have shown that a low-glycemic diet reduces acne in certain cases. Several scientific studies have recently shown that eating a low-glycemic diet, which includes foods that do not cause large increases in blood sugar levels, may help reduce acne symptoms.1-3 This article will explain what a low-glycemic diet might entail and discuss TIPS for selecting foods that are low glycemic. Although research is still inconclusive, there is some evidence that it may be helpful for acne-prone people to consume a low-glycemic diet. 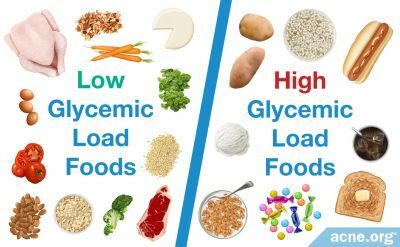 To understand how a low-glycemic diet may result in less acne, it is important to understand these two terms: glycemic index and glycemic load. Foods low on the glycemic index do not cause large increases in blood sugar levels. They instead help keep blood sugar levels steady, giving the body plenty of time to process incoming sugar. TIP: When you are selecting low-glycemic foods to eat, you can use the glycemic index to determine which foods increase blood sugar levels, and you can use the glycemic load to figure out how much of each type of food you should eat. This section will compare some common foods so you can decipher what types of foods to include in a low-glycemic diet, i.e., a diet for reducing acne. IMPORTANT TIP: Just changing your diet will probably not clear up acne, but there is a possibility that it may help to some extent. Be realistic when attempting to eat lower glycemic. Instead of attempting to eradicate your acne with your diet, look instead for realistic improvement--and keep in mind that this may be a small improvement. TIP: Pick foods like beef, pork, poultry, fish, eggs, avocados, green leafy vegetables, peppers, berries, plums, peaches, grapefruit, and cheese. These are great options for a low-glycemic diet because they cause only small increases in blood sugar levels, even when they are eaten in large amounts. TIP: Eat small amounts of high-glycemic foods. Remember that the glycemic load depends on the serving size that you ingest. For example, microwave popcorn possesses a glycemic index of 65, but a glycemic load of only 7. You can still achieve a low-glycemic diet when you include small amounts of high-glycemic foods. TIP: Consult a glycemic table to verify the glycemic index and glycemic load per serving. If you are not sure whether a food is low glycemic or high glycemic, refer to a glycemic table to determine the food's glycemic value. TIP: Balance glycemia by combining foods. If you are eating a high-glycemic food like pasta, incorporate a low-glycemic food like meat sauce, which contains nutrients such as fats and proteins. This can help balance the meal's glycemic effect. When you are selecting foods for a diet to reduce acne, consider what ingredients are used, how each food is prepared, and where the food originates from so you can determine whether a food is low glycemic or high glycemic. High-glycemic foods cause large increases in blood sugar levels over a short period of time, and while research is still not conclusive, this may promote a worsening of acne symptoms. To understand how increasing blood sugar levels might worsen acne, it is important to examine what happens in the body when eating high-glycemic foods. As discussed earlier, when blood sugar levels increase drastically in a short period of time, the body initiates a cascade of hormones and molecules. The organ called the pancreas increases production of insulin, which is a hormone that helps the body use the sugar for energy or store the sugar as fat so it can be used for energy later. More insulin is thought to correlate with more acne. Increases in the amount of insulin in the body lead to an increase in another hormone called insulin-like growth factor 1 (IGF-1). 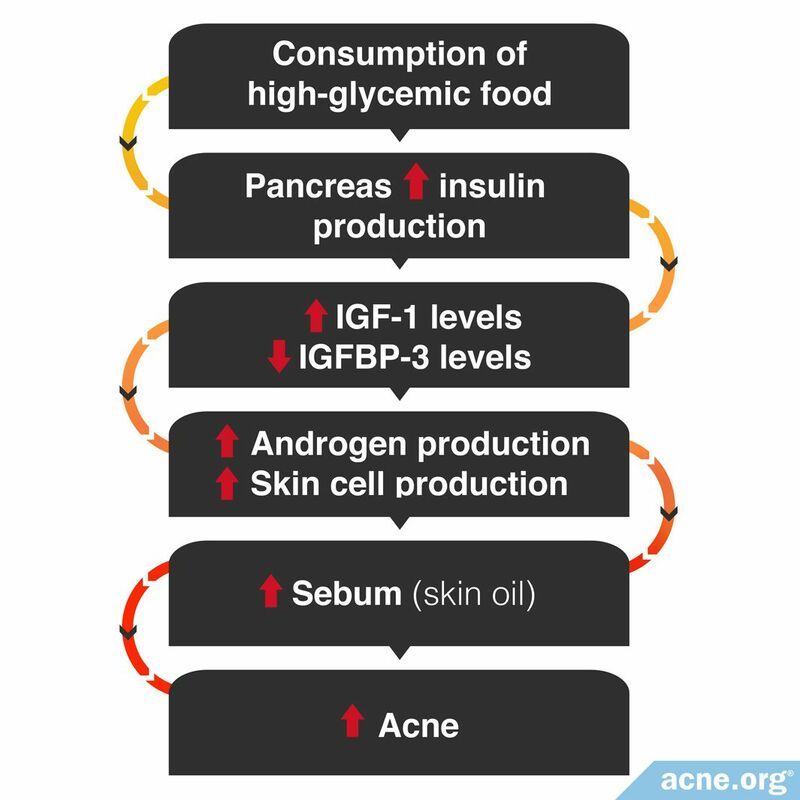 Increased IGF-1 levels are also thought to lead to increased acne. When the amount of insulin in the body increases, a decrease in a molecule called IGFBP-3 ensues. The job of IGFBP-3 is to attach to insulin and render it inactive. So, the less IGFBP-3 you have, the more insulin is able to damage the body. Stimulating the production of skin cells, which can bring about clogged pores. There is an increasing number of professionals mentioning that eating more low-glycemic food and less high-glycemic food might help reduce acne. This idea is based on the following evidence. The previous study also appeared in 2007 in the Journal of the American Academy of Dermatology. Even though there are currently not enough studies to draw conclusions about the relationship between eating low glycemic and acne, the preponderance of the evidence at this point sways toward a low-glycemic diet being involved in reducing acne. TIP: While we do have some evidence suggesting that low-glycemic diets help reduce acne, it is unlikely that changing your diet will resolve your acne. 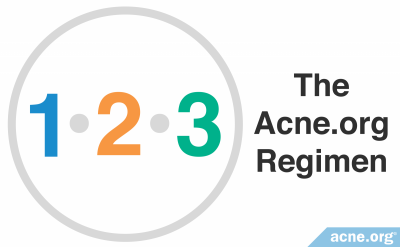 It is still important to consider proven treatments if you have acne. While the tips given in this article are helpful for learning how to eat low glycemic, there are many other factors to consider for a healthy diet. TIP: The glycemic index does not provide information about important nutrients your body needs, such as fat, protein, fiber, and vitamins. As such, people should refer to the glycemic index in combination with eating colorful fruits and vegetables and high fiber foods. 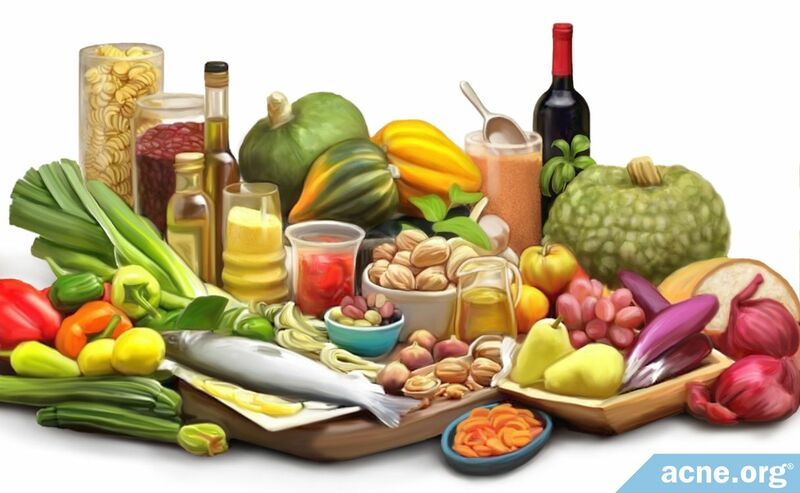 TIP: In 2002, researchers published an international table of the glycemic index and glycemic load for almost 1300 different foods.5 To know the exact glycemic index or glycemic load of a certain food, please consult the table here. Some studies have shown that there might be a relationship between the glycemic load of a diet and acne: a low-glycemic diet has been shown to improve acne in certain studies. The glycemic index and the glycemic load of a certain food each depends on different factors. The serving size is important. The glycemic load, unlike the glycemic index, takes into account the serving size of a certain food. 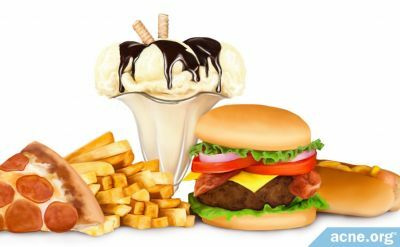 Furthermore, the composition of the rest of the meal and the method by which a food is produced or processed influence the glycemic response of a certain food. 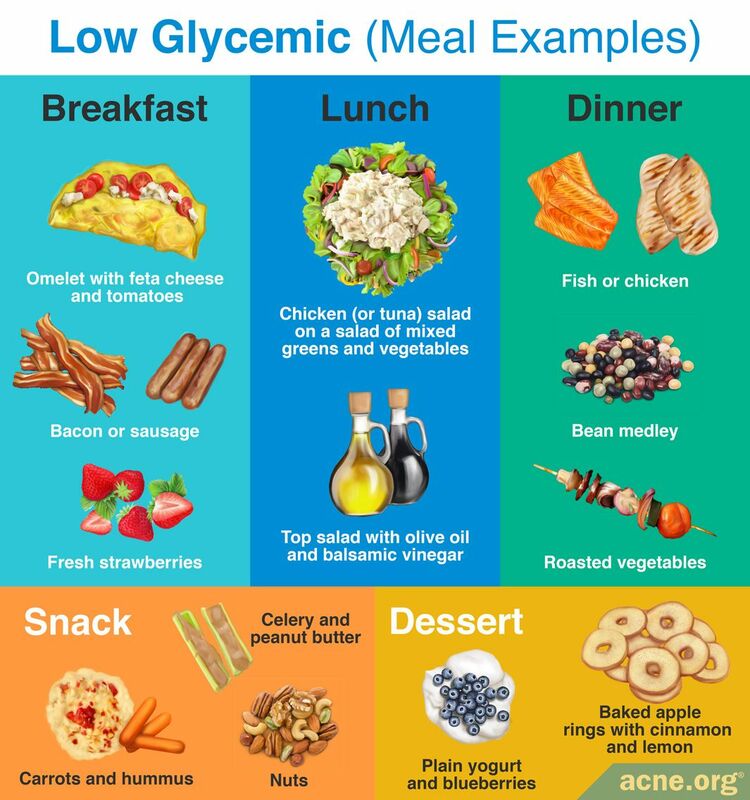 The general rule when eating a low-glycemic diet is to keep portions of high glycemic index foods small and to eat foods that contain little or no carbohydrates, such as meat, poultry, fish, avocados, vegetables, cheese, oils, or eggs. For other foods, consult the table to know the glycemic index and load of a certain food to see if it satisfies a low-glycemic diet. A low-glycemic diet might be beneficial for your acne. If you want to experiment with a low-glycemic diet to see if it improves your acne, you should include foods such as meat, poultry, fish, avocados, vegetables, cheese, eggs, and oil into your diet. 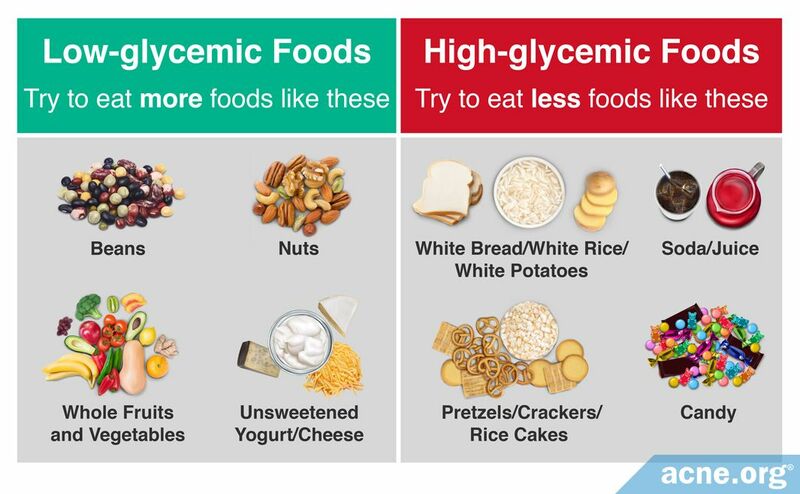 In addition, keep the portions of high-glycemic foods small so the risk of a high-glycemic load is smaller. To know the glycemic index or load of a particular food, consult this table for the exact value. 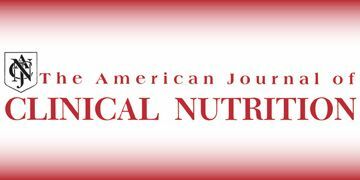 Burris, J., Rietkerk, W. & Woolf, K. Acne: the role of medical nutrition therapy. J Acad Nutr Diet 113, 416 - 430 (2013). 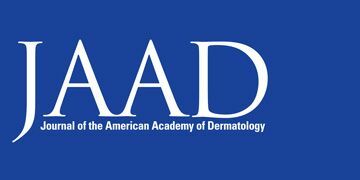 Zaenglein, A. L. et al.Guidelines of care for the management of acne vulgaris. J Am Acad Dermatol 74, 945 - 973 (2016). 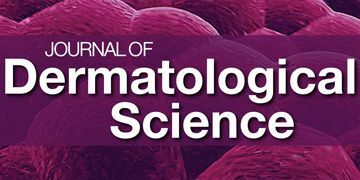 Bronsnick, T., Murzaku, E. C. & Rao, B. K. Diet in dermatology: Part I. Atopic dermatitis, acne, and nonmelanoma skin cancer. J Am Acad Dermatol 71, 1039 (2014). Venn, B. J. & Green, T. J. Glycemic index and glycemic load: measurement issues and their effect on diet-disease relationships. Eur J Clin Nutr 61, S122 - S131 (2007). Foster-Powell, K., Holt, S. H. & Brand-Miller, J. C. International table of glycemic index and glycemic load values: 2002. Am J Clin Nutr 76, 5 - 56 (2002). Smith, R. N., Mann, N. J., Braue, A., Makelainen, H. & Varigos, G. A. A low-glycemic-loaddiet improves symptoms in acne vulgaris patients: A randomized controlled trial. Am J Clin Nutr 86, 107 - 115 (2007). Smith, R. N., Mann, N. J., Braue, A., Makelainen, H. & Varigos, G. A. A low-glycemic-load diet versus a conventional, high-glycemic-load diet on biochemical parameters associated with acne vulgaris: A randomized, investigator-masked, controlled trial. J Am Acad Dermatol 57, 247 - 256 (2007). Smith, R. N. et al. A pilot study to determine the short-term effects of a low glycemic load diet on hormonal markers of acne: A nonrandomized, parallel, controlled feeding trial. 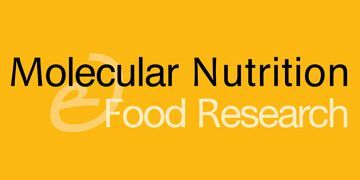 Mol Nutr Food Res 52, 718 - 726 (2008). Smith, R. N., Braue, A., Varigos, G. & Mann, N. J. The effect of a low glycemic load diet on acne vulgaris and the fatty acid composition of skin surface triglycerides. J Dermatol Sci 50, 41 - 52 (2008).